WILDE, Oscar. The Picture of Dorian Gray (1891). London: Penguin Books, 1994. 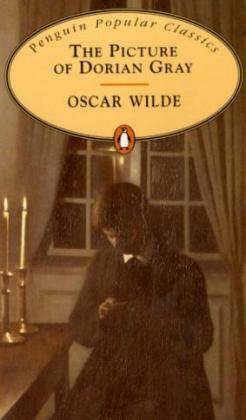 When this novel was published first in 1890 in an issue of Lippincott’s magazine, it caused outrage—even if hundreds of words were removed from Wilde’s original without him knowing. One year later it was published as a book with a preface by the author stating that a book, as a form of art, can’t be immoral, but just beautiful or badly written, and if anyone finds ugly meanings in it, it’s their fault. Basil Hallward, the moral artist who paints the picture, and his friend Lord Henry Wotton, an aristocrat with libertine ideas, are the two key characters that influence Dorian’s fate. Basil is quite dull and his correctness renders him boring. Contrastingly, Lord Henry’s witty and uncensored speech makes his irresistible from the very beginning, although it gets annoying by the end. With such a trio, beauty—either physical or artistic—and morality are the main themes of the novel. The bold and impudent way they are discussed in, nevertheless, is what made it outrageous at the end of the 19th century. Add a not-so-subtle homosexual reading (which I loved) to many passages to top it off. I strongly recommend The Picture of Dorian Gray and any person who enjoys reading will enjoy the book. However, should you be lazy about letters, Big Finish Productions released a two-hour audio drama adaptation of the novel.